Don Panoz’s distinguished career began in 1961 when he and an Army friend and fellow West Virginia University alumnus, Milan “Mike” Puskar, founded Milan Pharmaceuticals in White Sulphur Springs, W. Va., making Panoz the youngest president of a pharmaceutical company in the United States. Milan evolved into Mylan NV, a company that now sells an estimated 1,300 products to more than 140 countries and territories worldwide. In the 1970s he created Elan Corp. in Ireland, which became a leader in drug delivery products and technology. Don Panoz led a research team that created time-release medication through a transdermal patch, commonly used today as the nicotine patch. Elan Corp. was the first Irish company to be publicly listed on the U.S. stock exchange, and today Don Panoz retains over 300 pharmaceutical industry patents. Other accomplishments include founding Elan Motorsports Technologies and the Panoz Institute at Trinity College in Dublin, Ireland, which houses the School of Pharmacy and Pharmaceutical Sciences. In 1997 Don Panoz commissioned and campaigned the Panoz Esperante GTR-1, the first successful front-engine prototype race car in more than 30 years of racing. That same year, he founded the Panoz Motor Sport Group, the American Le Mans Series (ALMS) endurance racing series, and the Petit Le Mans endurance sports car race, one of the largest car races in the world. From 1997 to 2002, Panoz Le Mans prototype race cars won eight endurance sports car championship races. In 1997, he debuted and raced the world’s first successful hybrid race car, the Panoz Esperante Q9 GTR-1 Hybrid, which won its class at the 1998 Petit Le Mans race. In 1999, Don Panoz was named co-winner of Autosport magazine’s Technology Award, and he founded the Women’s Global GT Championship. Panoz Indianapolis race cars won the famed Indy 500 in 2000, 2003 and 2004. In 2002, a Panoz Esperante GTLM race car won both the 12 Hours of Sebring and the 24 Hours of Le Mans, and Don Panoz received the coveted Sprit of Le Mans award from L’Automobile Club d L’Ouest, organizers of the 24 Hours of Le Mans. Don Panoz also built international resorts such as Chateau Elan in Georgia, The Vintage Golf Club in Australia, Diablo Grande Winery & Resort in California, and St. Andrews Bay Resort and Spa in Scotland. In 2013, he became the 29th inductee into the Entrepreneurship Hall of Fame, and in 2014 received the Motorsports Hall of Fame of America’s Bob Russo Heritage Award. 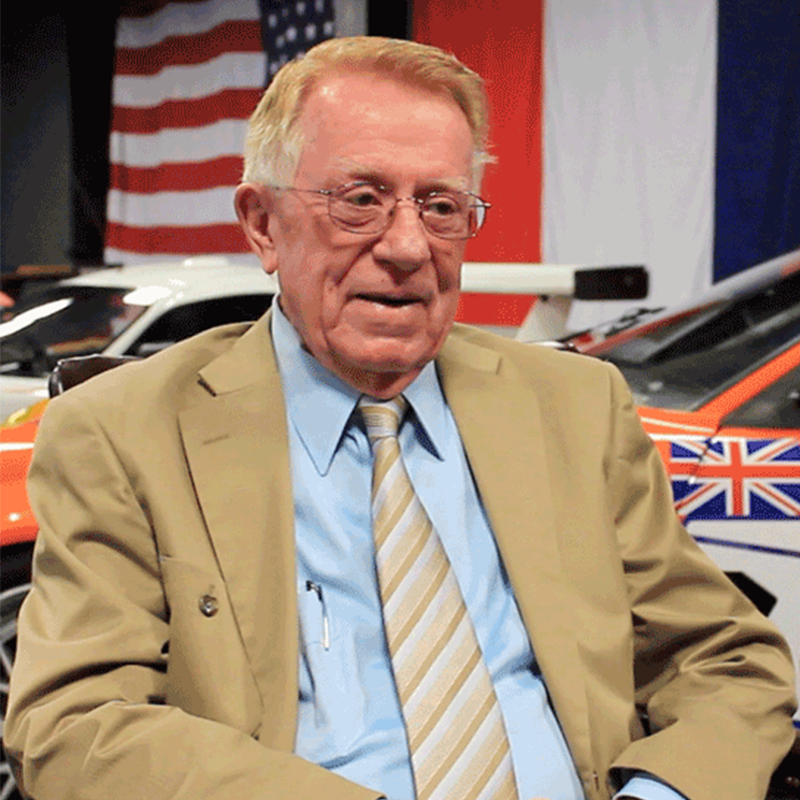 In 2015, Don Panoz received the La Bella Macchina Award at Concorso Italiano in recognition of his contributions to the automotive and motorsports industries.